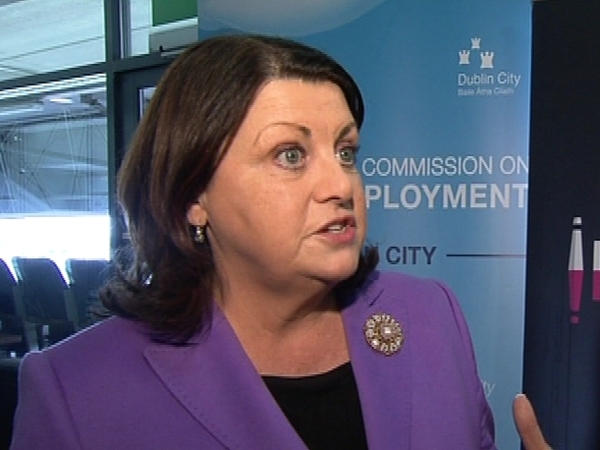 European Commissioner Máire Geoghegan-Quinn has decided to give up her Ministerial and Oireachtas pensions. Finance Minister Brian Lenihan announced this evening that the Commissioner had contacted him over the issue. Ms Geoghegan-Quinn is seeking to have the necessary arrangements put in place to allow her to 'gift' the pensions to the State for the duration of her service as an EU Commissioner. There have been a number of calls in recent days on Ms Geoghegan-Quinn to surrender the pensions, which are worth over €100,000. Her salary as a Commissioner is just under €250,000. 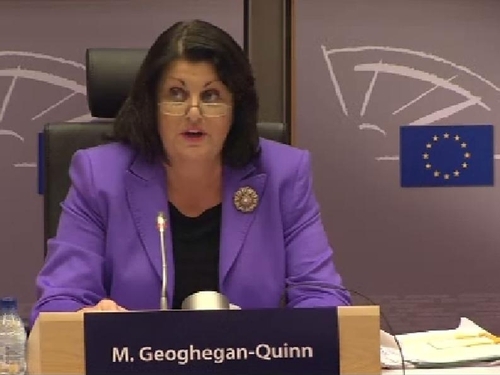 Mr Lenihan said: 'In the short time since her appointment as Commissioner for research, innovation and science, Máire Geoghegan-Quinn has made a strong and positive impact in advancing innovation throughout the European Union. Taoiseach Brian Cowen said: 'I have stated repeatedly that it was up to people not serving in the Oireachtas to reflect and consider their own positions individually as to how to deal with the pension issue. Earlier, Minister for Foreign Affairs Micheál Martin said that 'pensions are for when you retire'. Minister for Enterprise, Trade & Innovation Batt O'Keeffe said it is a matter for individuals whether to waive pension payments while still working and receiving salaries. Minister for Communications, Energy & Natural Resources Eamon Ryan said he would give back a ministerial pension if he was in a similar situation to the Commissioner. Green Party chairman Dan Boyle suggested legislation was needed to deal with the situation. However, his party leader John Gormley said that would be akin to using a hammer to crack a nut. Earlier, Minister Gormley said the Commissioner and the 16 other individuals who are working while claiming State pensions should 'do the right thing'.